This Vanilla Bundt Cake recipe with Mixed Berry Glaze was created as part of a sponsored post on July 7, 2013, for Save Mart. It was updated on May 25, 2018. A few days ago, I stopped in at Save Mart to pick up a few things. While I was there we found Driscoll's Berries on sale, so I picked some up. 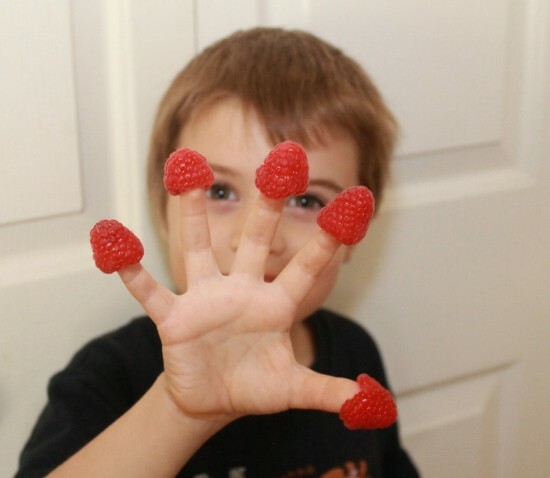 Before I left the store my boys had elicited a promise from me to make them a treat with the berries. 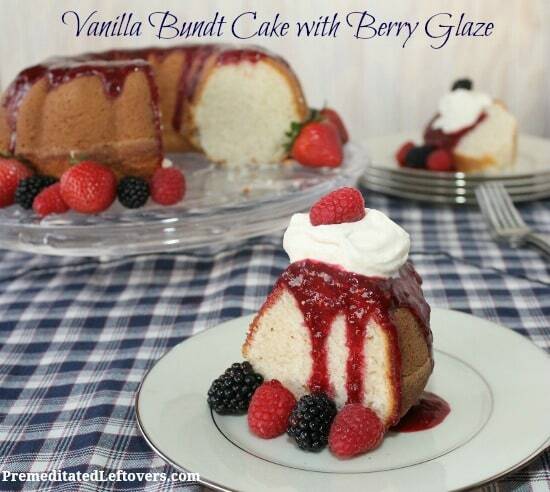 I decided I would make my Vanilla Bundt Cake and top it with a Mixed Berry Glaze because it is incredibly easy to make. It is so easy that it is my go-to dessert for summer picnics, barbecues, and potlucks. My kids kept stealing the berries while I was cooking. I am lucky I had enough left to make my cake! Does your family love berries? 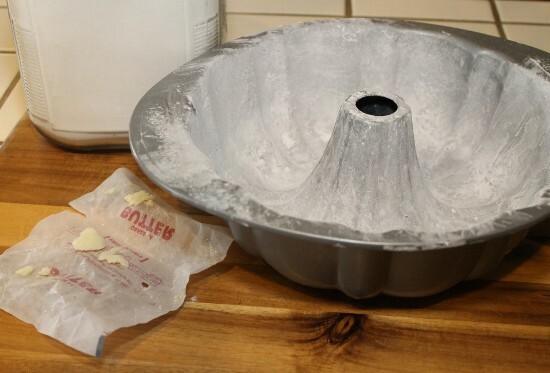 When you make a bundt cake, you really need to take the time to grease and flour the cake pan. It will make it so much easier to get the cake out. However, if you forget or if it sticks for another reason, remember you can always use the cake to make a trifle! 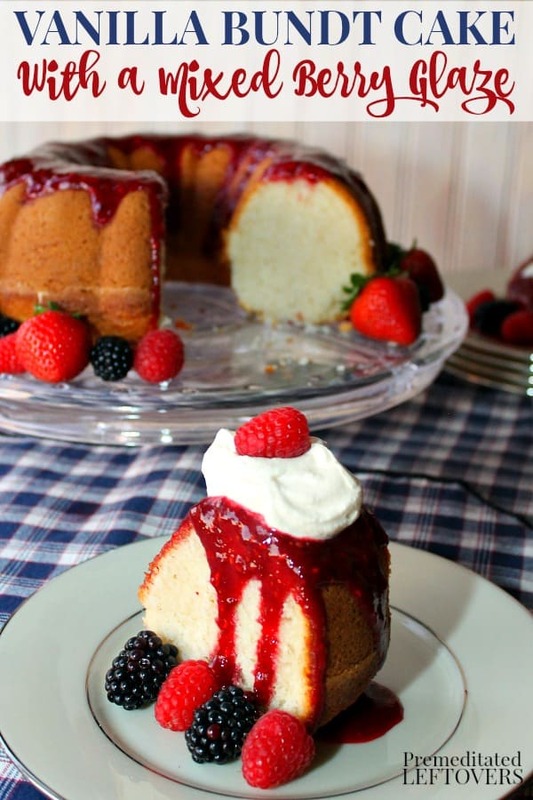 If you follow a gluten-free diet, use this Gluten-free Vanilla Bundt Cake Recipe. Preheat the oven to 350 degrees. Grease and flour the cake pan. Add oil, milk, eggs, and vanilla and stir to combine with flour mixture. Use a blender to beat the cake mix on high for 1 -2 minutes. 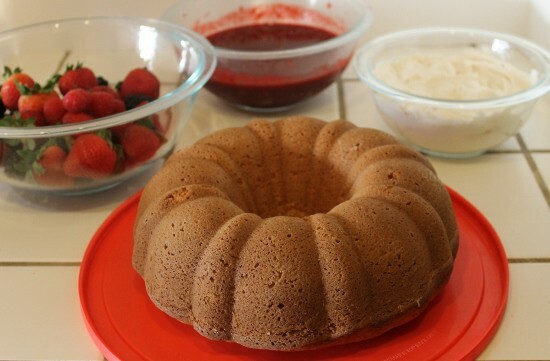 Pour cake mix into bundt pan. Bake at 350 degrees for 50 – 60 minutes. While the cake is cooking, place the berries in a blender or food processor and puree. Add powdered sugar, orange juice, and orange zest to berries. Use a whisk to completely incorporate the sugar into the berry mixture. Place the glaze in the refrigerator to chill. When an inserted toothpick comes out clean, remove the cake from the oven and allow it to cool in the pan. Once cool, invert and top with glaze, fruit, and whipped cream. You can make the bundt cake and the berry glaze ahead of time and then assemble the cake just before serving. Bundt cakes are my go-to dessert for picnics and potlucks because they are so easy to transport. You don't have to worry about frosting melting, or layers slipping as you travel. 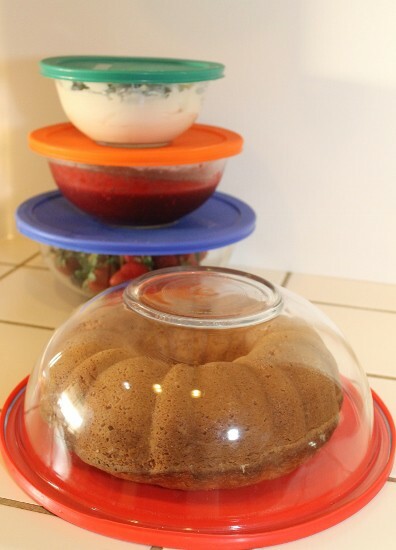 If you don't have a cake carrier, make an impromptu cake carrier by inverting a lidded bowl. Just be sure you hold it from the bottom while transporting it. I place the toppings in separate bowls and assemble the cake when I arrive at the party. For gatherings with people with lots of special dietary needs, I create a “dessert bar” and allow the guests to choose the elements of the dessert that fit into their dietary requirements. Pour cake mix into bundt pan. Bake at 350 degrees for 50 - 60 minutes. When an inserted toothpick comes out clean, remove the cake from the oven and allow it to cool in the pan. Once cool, invert and top with glaze, fruit, and whipped cream . *to make this gluten-free replace the flour with 1½ cups white rice flour, 1 cup tapioca flour, ½ cup potato starch, and 1¼ cup guar gum. Make sure to use gluten-free vanilla and flour the pan with tapioca flour. If you have leftover Berry Glaze, berries, and/or whipped cream, use them to top waffles or pancakes. I LOVE that dessert bar idea! You have listed in the ingredients to use Baking Powder , but in the directions you list Baking Soda. So which one is it ? It is supposed to be baking powder. I have edited the directions. Thanks for pointing out my error. HOW many mini bundt cakes will this make? I am not sure. It will depend on the size of your mini bundt cake pan. It makes 24 cupcakes.